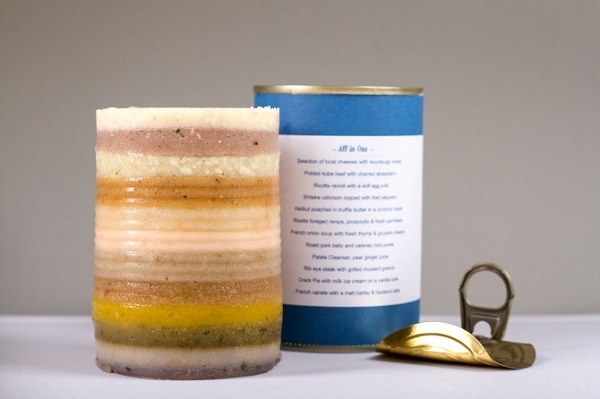 In a bid to offer the average person a chance to “dine like royalty without the washing up”, designer Chris Godfrey cramped an entire 12-course meal into a can. 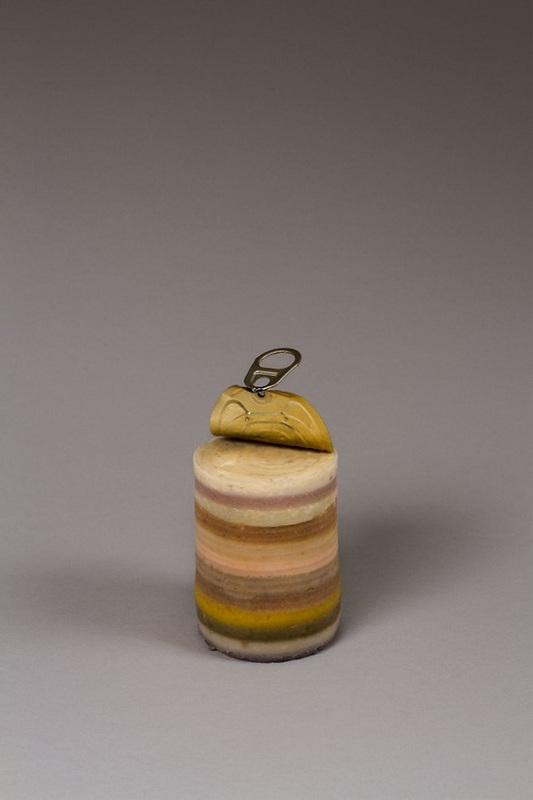 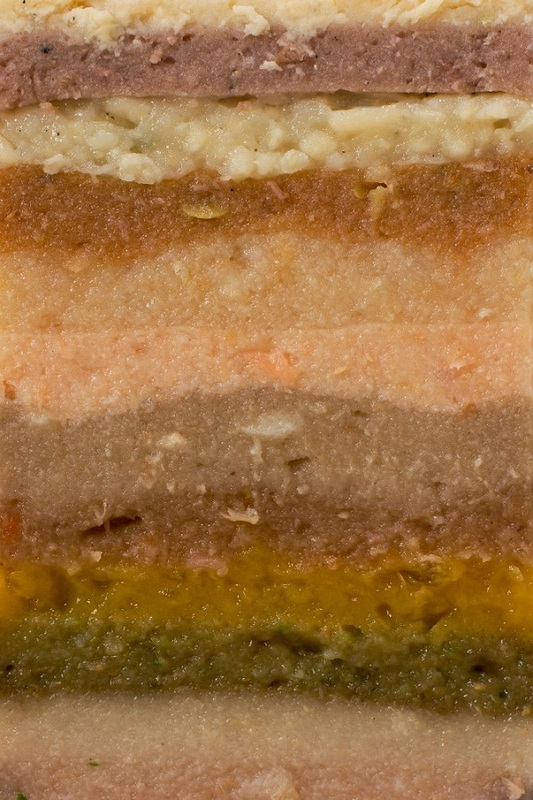 Called ‘All In One’, appetizers, main courses and desserts were compressed into a tin can—piling them on top of each other to form layers of food that are distinguishable by color. 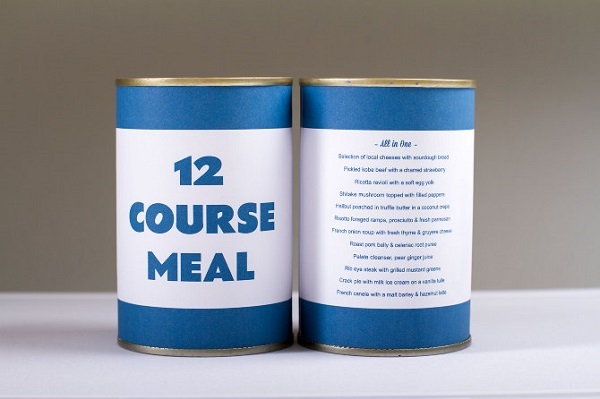 Would you like to sample Godfrey’s 12-course meal?